Every so often you get a feeling that you’ve interrupted something – that you’re in the wrong place at the wrong time, blindly committing a faux pas that you had no chance of foreseeing. Maybe you’ve just walked in on an intensely private conversation, maybe the shop was just about to close but they’re too polite to ask you to leave, or maybe you’ve just discovered a secret community of elderly stoners. The Uji Spirit, revolting against our choice for coffee (or rather, my choice for cocoa) over the Ujilicious green tea, struck again. We walked into the café, a single room with counter. Everyone stopped and stared at us. A masked lady hurriedly encouraged us to sit down in the only table free. People were still staring. I could almost hear the whispers and the unspoken words. The atmosphere was thick enough to be sliced up and served. The masked lady returned and asked for our order. But there wasn’t a menu on our table, nor was there one in sight. We don’t have a menu, she told us. You can have coffee, tea or hot chocolate. 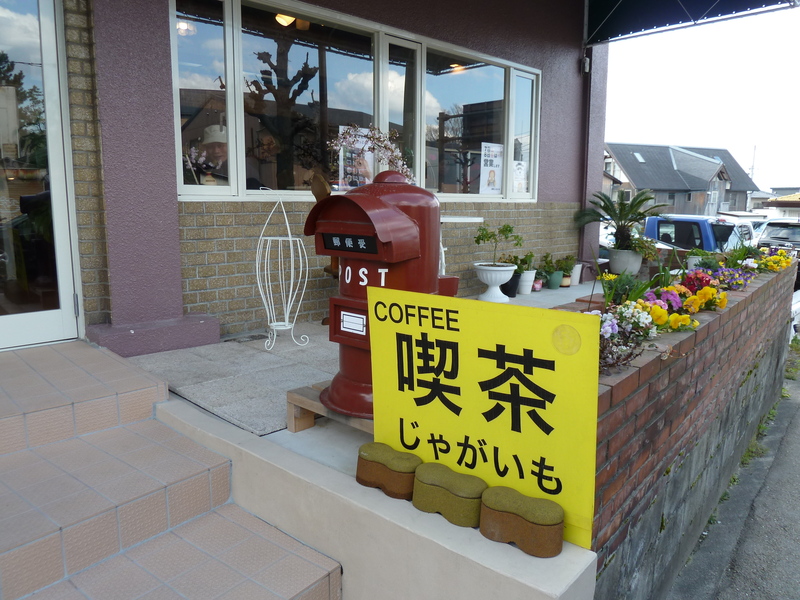 We nervously gave our orders, praying it wasn’t 1000円 a cup. I had my back to the room but my neck prickled. James, in front of me, kept glancing uncomfortably over my shoulders at whatever the room’s inhabitants were doing next. Calle later told me that a couple of old ladies started eating pasta, which we definitely weren’t offered. Others kept changing seats, wandering up the counter, then back to their table. It wasn’t like a café – it was more like we’d walked into a family’s front room – a family that were so stoned they were unable to communicate or engage with the world around them. The counter was also strange. The floor behind it was set down, so it was hard to see the serving ladies over it. The design perplexed it and every time, I risked turning my head, I couldn’t quite work out what was so puzzling about it or whether there was a purpose in building it that way. 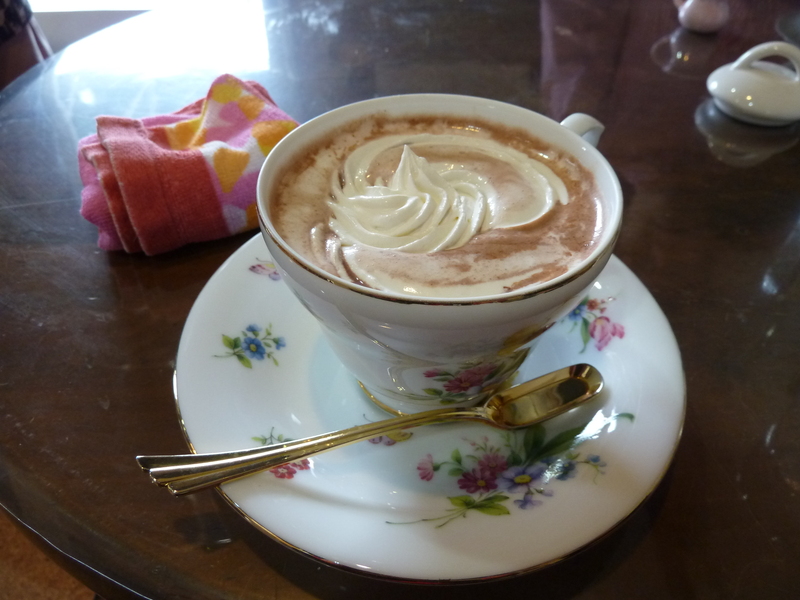 Our drinks arrived in old-fashioned chinaware and, to our relief, were quite good. They did actually know how to make drinks even if there’s no menu. Next thing I knew, a courtesy Ipad was placed on our table, with the instructions to play with it. A bit later, one of the men sauntered out the café. 15 minutes later he returned. “Here. Japanese orange,” he said, putting it on top of the Ipad. Then he sat back down at one of the tables. He didn’t work at the café but seemed to wander in and out as he felt like it. Drinks finished, orange eaten and a couple of Ipad games later, it was time to go and we stood up to pay. It came to 1100円. We were left to guess the individual costs. Marijuana. That would explain a lot. Especially a counter you can’t see behind. We should have been a bit more creative when ordering from the invisible menu. Lulz. Is pot legal in Japan? It’s not in the US, but I have some UK friends who make hash brownies around new year^^ I wonder what else they serve…. I wonder if brownies would’ve been on that menu X’D but seriously! great story to tell when you get back home for sure! Ah, I love Uji! It’s been too long, Phoebe. How are things?